Enjoy lunch at The Boot Grill at Rocky Outdoor Gear Store followed by three floors of shopping. 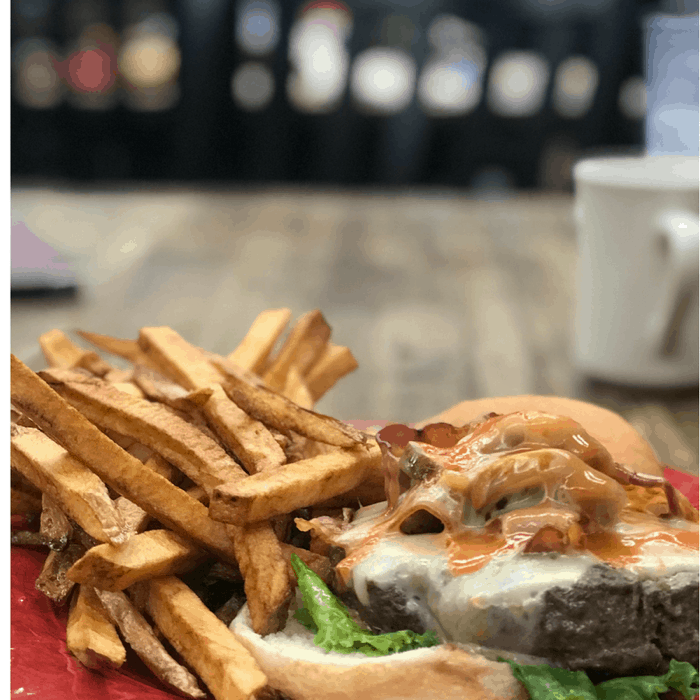 With weekly lunch specials, healthy options, and breakfast, lunch and dinner menus you can find something for everyone. The Boot Grill is known for their Bison Burger so of course, I had to try it. I enjoyed hand-cut fries with a variation of their Fire Starter Burger with bacon, pepper cheese, jalapeños, hot sauce, & lettuce using bison meat instead of beef for the burger. You will find a wide range of merchandise for the whole family with familiar brands such as Rocky, Georgia, Durango, Woolrich, Carhartt. 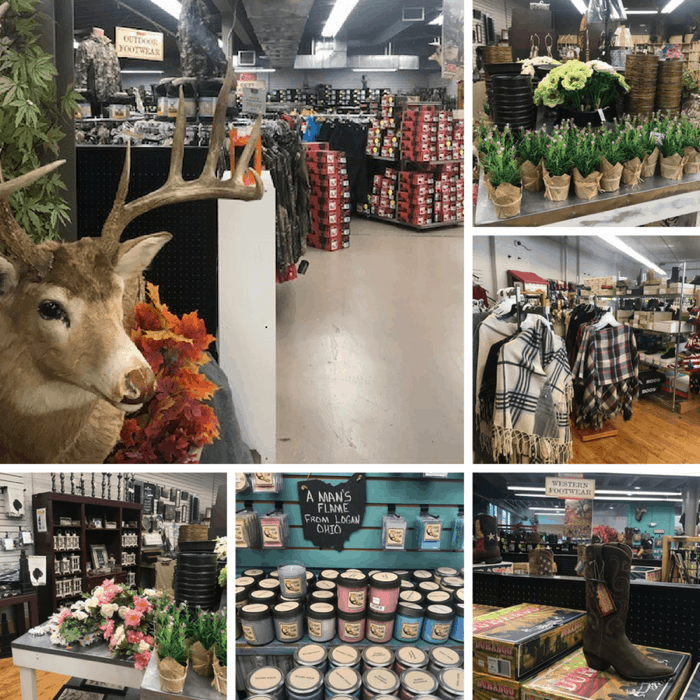 In fact, Rocky Boots is headquartered in Nelsonville, Ohio which means that you have a pretty incredible selection of quality boots to choose from. 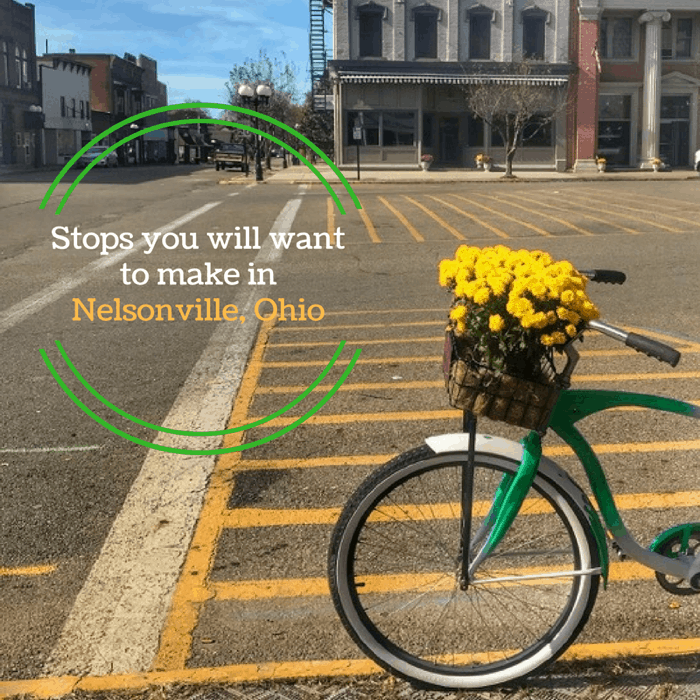 Depart from the Nelsonville Depot for a scenic train ride with Hocking Valley Scenic Railway. During our visit, we enjoyed the two hour long Fall Foliage tour that took us on a round trip ride to East Logan. 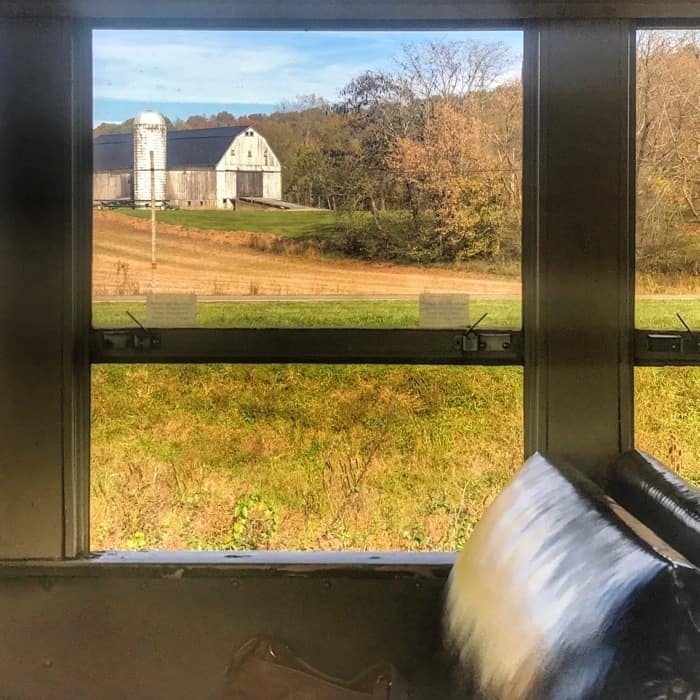 The train takes you back to simpler times and the gentle sway of the train could almost put you to sleep if you let it. 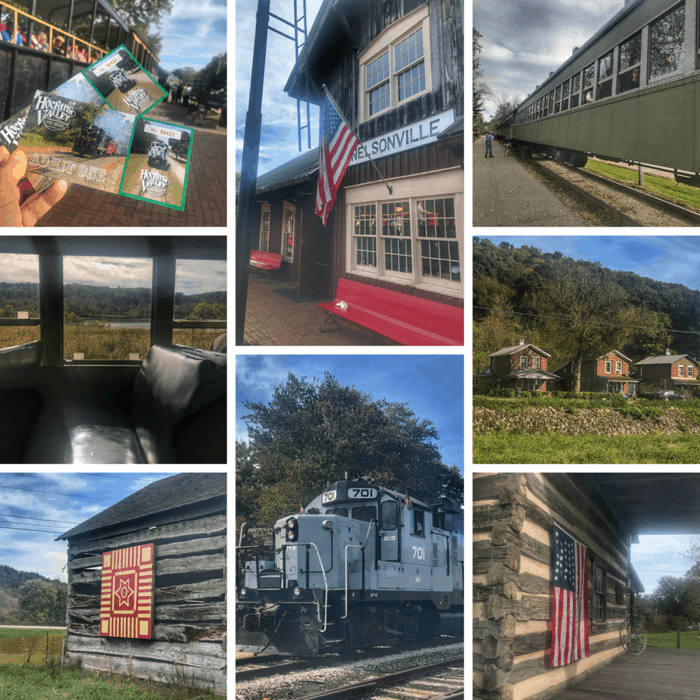 Our train ride also stopped at Robbins Crossing, a small pioneer village for 30 minutes where we could purchase a snack and explore the buildings from a former 19th-century community with historical reenactors. Make sure that you try to arrive 30 minutes before your scheduled departure time and no less than 45 minutes prior to the scheduled departure time for special theme train rides. You are allowed to bring your own food and drinks onto the train but no alcohol is allowed. The seating is first-come, first-serve. I originally wanted to ride in an open-air car but they were all full when we arrived. We ended up inside with more comfortable seating with windows that we could open up to let the breeze in which worked out even better. The coaches are also heated when the weather requires. Depending on what day you visit, there are several downtown shops to explore. I was really excited to discover that Starbrick Gallery was open on Sunday afternoons. 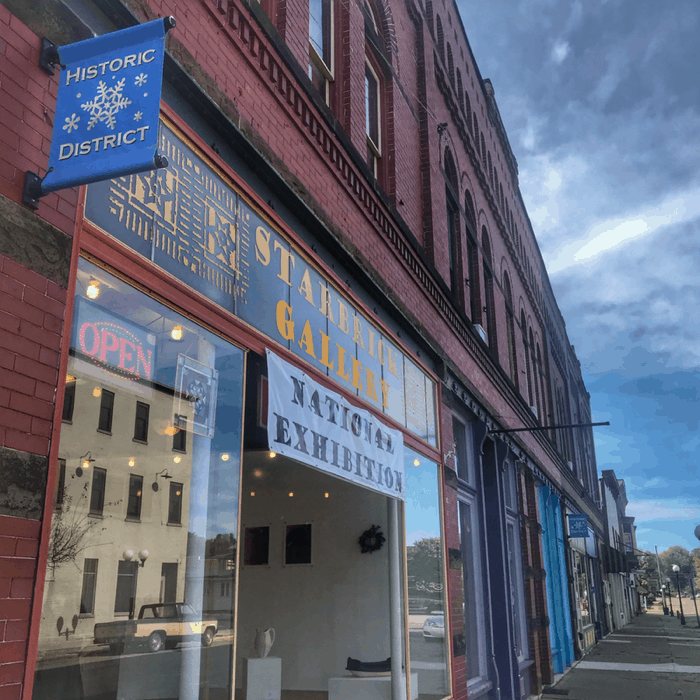 Starbrick Gallery is a fine art cooperative that features incredible art available for purchase from local artists at extremely reasonable prices. Honestly, the prices were so affordable that it was almost shocking given the quality of their work. 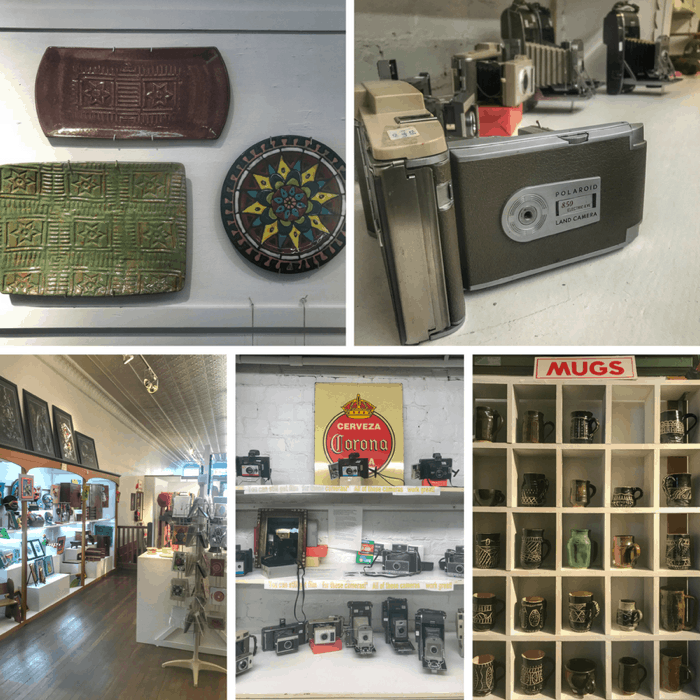 Antique lovers will want to go down to the lower level of the store to discover even more treasures. 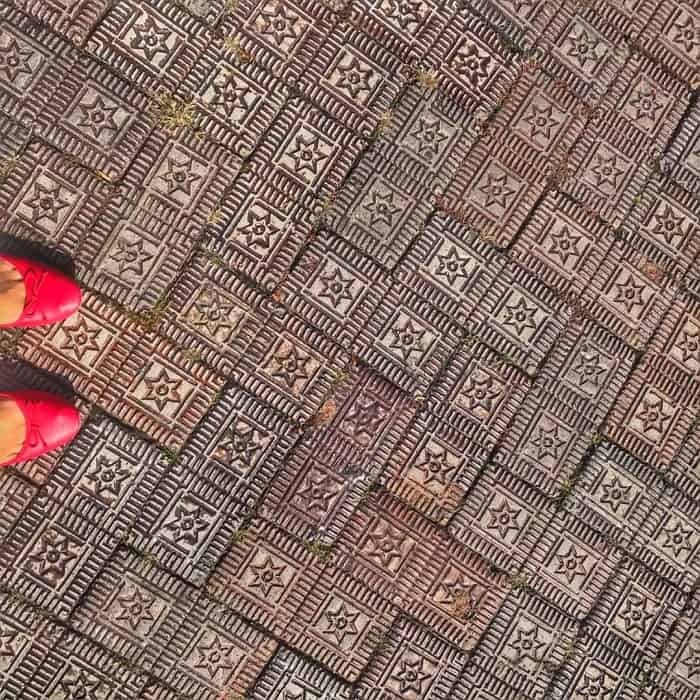 My first star brick sighting was on the sidewalk and I instantly wanted to know more about this unique pattern. 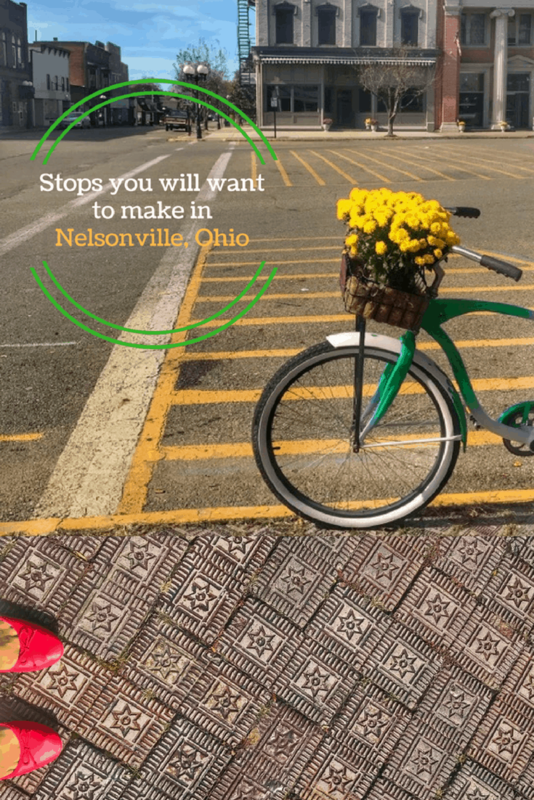 It turns out that these star patterned bricks were produced in Nelsonville, OH from 1887 to 1930. They are made from clay and they are almost as dense as marble. You can find a high concentration of bricks near the center of the city. 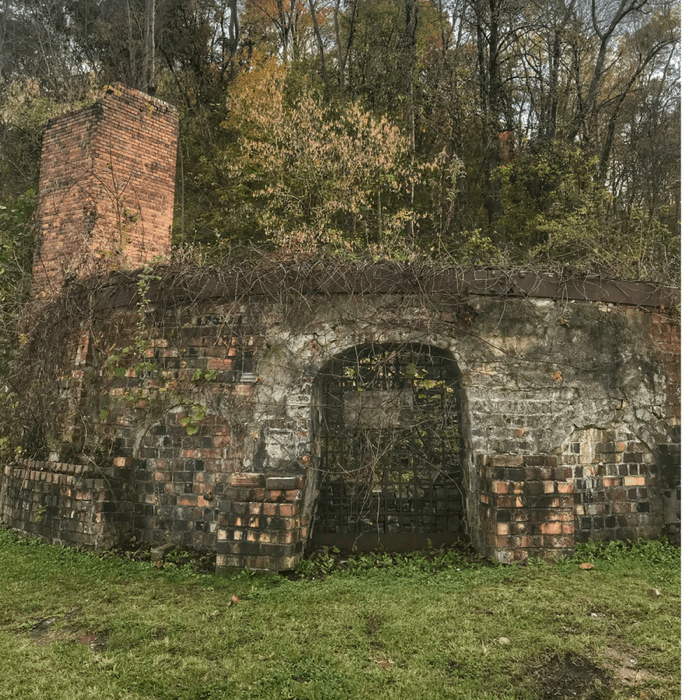 View what remains from the former Nelsonville Brick Plant located at Brick Kiln Park on State Route 278 in Nelsonville. 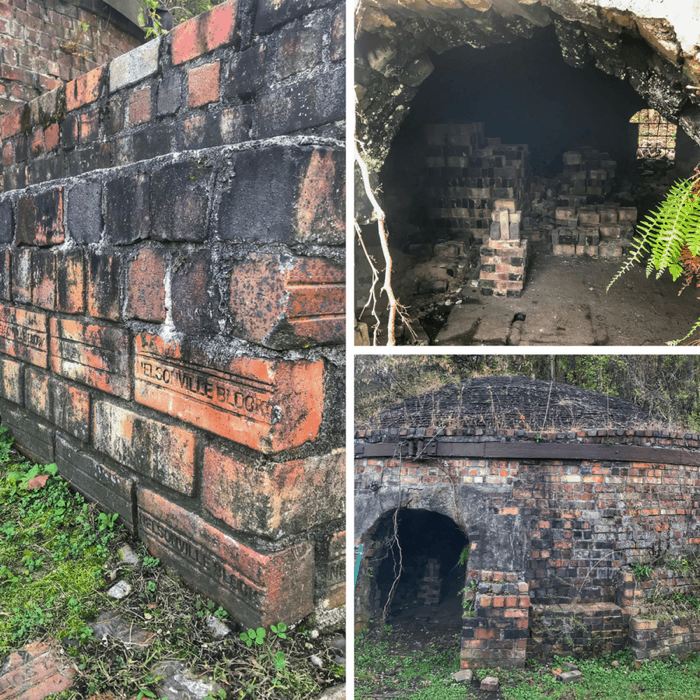 We first viewed the former brick plant from the train but I wanted to go back for a closer look. The remains of the plant help you envision what it was like during it’s peak. 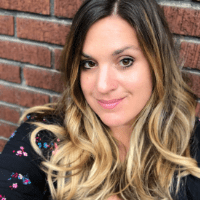 There is parking across the street from the site and picnic tables nearby if you want to enjoy the park as an opportunity to take a little break. I love when I discover street art when I visit a city. There were several murals downtown that were really impressive. 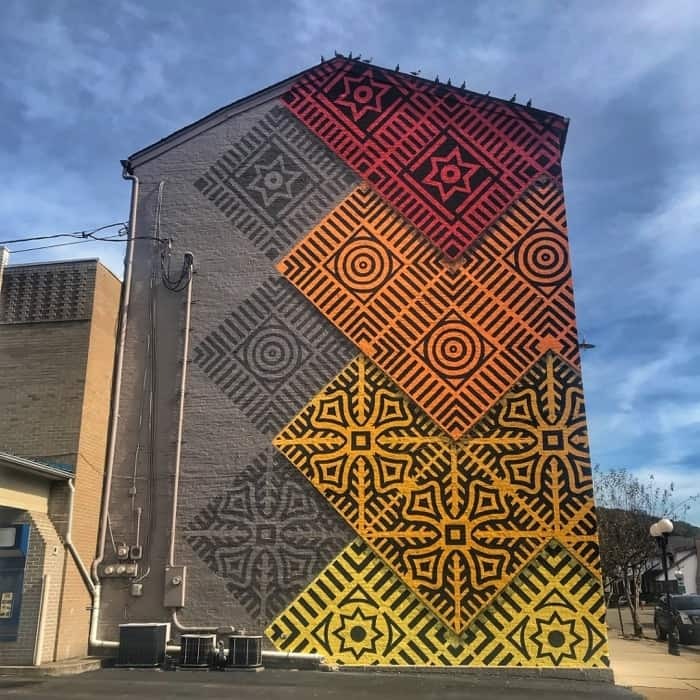 The mural pictured above is a nod to the Brick Industry that the city was so well known for. 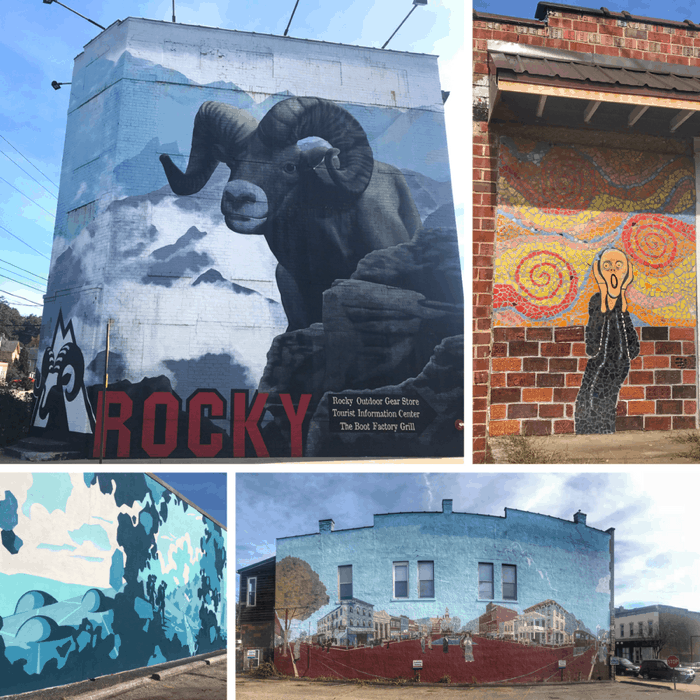 There were also several other murals located within a short driving distance of each other downtown. 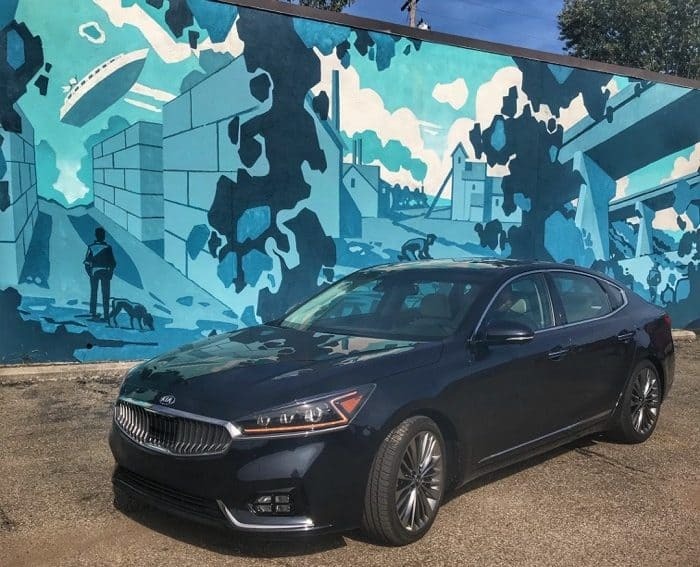 Thanks to KIA for providing the 2017 Cadenza loaner for our road trip with great gas mileage and lots of legroom. Nelsonville, Ohio is a great stop for the curious. Start with these stops and let your curiosity build from there. Thanks again to Visit Athens for hosting our visit. You can find more ideas for the region from their website.